A few weeks ago I learned something about eggs. I’m not a big egg eater. If you put some eggs on my plate, I would eat them, but I wouldn’t seek them out. I don’t get excited about them. There is one exception, but I’ll get to that in a minute. I know, it was a long shot. But the menu clearly said that I could choose how my eggs were prepared, and I love deviled eggs, especially the way my mom used to make them: salt, pepper, paprika, and egg. Nothing else. Before the server arrived, I had asked my friends if they thought I had a chance of having my request fulfilled. It seemed unlikely, but what if the answer was yes? If they had hard-boiled eggs, it’s not that much more difficult to devil them. I’ve seen them on the menu at various restaurants as an appetizer, but that’s a little different than the type of egg included with brunch or breakfast. I’m going to pose this question from now on whenever I’m given the option at restaurants. Someday, somewhere, a restaurant will say yes. This entry was posted on Thursday, February 22nd, 2018 at 8:27 pm	and is filed under food and tagged with restaurants. You can follow any responses to this entry through the RSS 2.0 feed. Reminds me of a little story from my childhood. We were vacationing somewhere out west and were having breakfast in a restaurant. My mother was using the loo and missed overhearing a woman at a nearby table order “two eggs, one fried, one scrambled”. Dad and I looked at each other and had to work not to laugh out loud; it had never occurred to us you could have them prepared two different ways. It was especially comedic because the woman had a heavy foreign accent. Over easy on a country fried steak with seasoned hashbrown topping. Can I suggest that devilled eggs &emdash; which I agree are delicious 😉 &emdash; are not a ‘preparation’, but rather a recipe, albeit a very simple one. I would definitely agree about eggs benedict, as that’s an entire dish. I’d put an omelet in the same category. But for deviled eggs, the ingredients are exactly the same as scrambled eggs. I love eggs. All kinds of eggs. Scrambled (cooked slow and low), hard boiled, but best of all over easy. Cooked just enough, but the yoke is still liquid (or as my daughter called it, bleeding). Chop up some sausage, cut up the eggs and yum. However, I cannot STAND deviled eggs. Something about the mayonnaise. One of the few ways I cannot, will not eat them. So, on the other end of the spectrum, I love eggs and in almost any form, especially scrambled, sunny-side down, omelets, Benedict, deviled (I think our moms have the same recipe) and hard boiled (pitch the yoke). I’m not fond of either sunny-side up or soft boiled eggs because of the yoke’s consistency, but that’s a minor point. It’s quite a coincidence that this topic came up when it did. Over the last year or so, Laura has prepared an egg or two nearly every day–earlier in our lives we probably ate them once a month. I feel very similarly to you, I think. I consider egg to be a filler–take it or leave it most of the time. I’ll eat it, but I don’t seek it out. I don’t usually love when eggs are the main focus of a dish, but there are many egg dishes that I genuinely love. 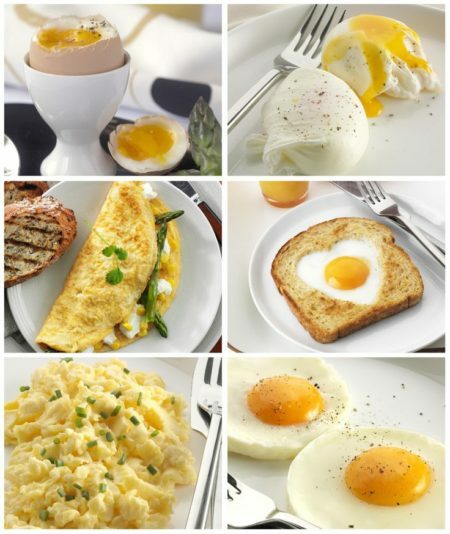 For many years, though, I just assumed scrambled eggs were not only my favorite (only with cheese added–never plain), but pretty much the standard way that everyone made eggs unless you worked in a restaurant and knew how to pull off some sort of wizardry that led to an egg not ultimately becoming scrambled anyway when you sought sunny-side up or something. Yes, I was convinced that other types of eggs were prepared by Michelin-star restaurant chefs (and Waffle House). Long story long, I’ve learned that I love the broken yolk from a sunny side up eggs on certain breakfast sandwiches (and I’m ok with the rest of the egg being on the sandwich to complement my cheese and bacon). I will add that anything with a hard-cooked yolk does nothing for me. I’ll have to try this sunny-side up method! Scrambled, or as an omelette. I’m fairly neutral on eggs, generally, with the exception of sometimes going out of my way to do a cheese omelette or scrambled eggs for lunch, but when given the option of how to have them, I’ll almost always go for scrambled.